This Mommy Loves: My First Giveaway! Score Ever/After Children's Clothing! My First Giveaway! Score Ever/After Children's Clothing! Update! The Giveaway is now closed. Thank you to everyone that participated and congratulations to Misty D. our big winner! In appreciation of all the visitors who have stumbled upon this little blog in its first few weeks, I'm thrilled to bring you my first giveaway and man is it a good one! You can win $75 in Ever/After Children's Clothing!!! 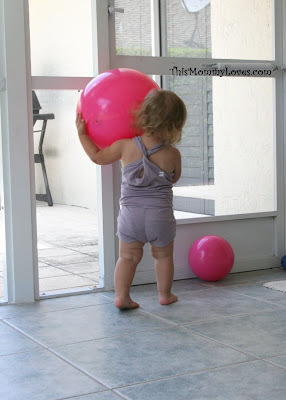 In case you haven't heard of Ever/After, let me just tell you why This Mommy Loves Ever/After! First of all, the line was created by this gorgeous family; The Winstons (Gary, Christy and little Ever) Um, yes, just a tad bit beautiful. Ever/After is a company that all moms will love! 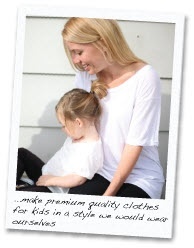 It features some of the softest clothing to ever hug your little one's skin. After spending several years in the world of fashion retail, the Winston's were inspired to leave the fast-paced corporate environment by their newly born daughter, Ever. As founder Christy puts it, "The complicated became simple, stress was replaced with passion, excess turned to essential, family took the place of career, and self became second to serving others." Not only are the clothes superb but their charitable message is what makes This Mommy Love them even more! 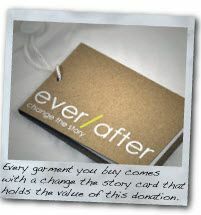 Ever/After donates 25% of the profit from each garment you buy to the cause of your choice. They've partnered with three charities that share their vision of creating powerful & sustaining change in the lives of children in need. Their partner charities support kids who have only ever known a bleak and sometimes hopeless reality. As Ever/After puts it, "We want to change the story. We believe helping others can extend to all areas of our lives, even the clothing we buy. Every garment comes with a change the story card that holds the value of this donation. Choose the Cause. Change the Story." 3) Go to Ever/After's Change the Story Page and tell me which of the 3 charities you would allocate your donation. 6) Follow @ThisMommyLoves on Twitter and comment here with your Twitter screenname. 7) Follow @EverAfterCTS on Twitter and comment here with your Twitter screenname. Winners will be chosen via random.org on October 6, 2010. Last valid entry can be entered on October 5, 2010 at midnight EST. Winners will be notified via direct message on facebook and will have 48 hours to respond before another winner is chosen via random.org. US Residents Only. Winner will receive $75 credit toward www.everafterclothing.com. Winner will redeem this one-time only coupon code online and have the $75 credit applied to their minimum $75 order. And just for fun, here are some pics of my little supermodel in her favorite Ever/After piece, the purple-grey Twist Back Romper. Good luck! Now hurry, start entering to win! I am so inspired by this company, what they are doing is truly commendable. I just liked them on facebook, thank you so much for sharing this. I'd have to donate to the home for abandoned chidren in Uganda, which is a difficult idea to stomach as a mother. As for what I'd choose I'm torn between the twist back tank and romper, but I think I'd have to go w/ the romper after seeing Brenna in it-so.darn.cute. Sounds like a great company! Hope we win! I just liked you on FACEBOOK, for my first entry. Let me do the rest, this company s just great. :) THANKS, and hope I win. ALso Just go to my left sidebar, and grab the code for the FEATURED button, it's really simple, it won't let me put it in the comments section, sorry. Just liked Ever/After on facebook, so excited. Three charities are 1. homes for abandoned babies in Uguand. 2. Educational support for at risk children in the U.S. and 3. A community center in Rojo Gomez Mexico. I really like the girls yoga pants! Ever After clothes are amazing! Totally my style! If I win, then MY Contribution will be taking photos of Maren in the clothes she wins, and emailing them back to Ever After to use on facebook or their website! I would give to the home for abandoned babies in Uganda. I would donate to the Abandoned Babies in Uganda. I would get the fleece pants and short sleeve crew for my son. Great store. I like This Mommy Loves on FB! I like Ever/After clothing on FB! I would donate to the home for abandoned babies in Uganda. I aleady sponsor a little boy, Hassan, there through www.ihugfoundation.org They need a lot of help! I would buy the romper or the cinched back tank - adorable!!! I liked This Mommy Loves and Ever After on FB. I like This Mommy Loves!! I like This mommy loves on Facebook. Great prices, since i have to shop for 2, i always look for good sales!! I like Ever/after on FB. I'd choose the Community Center in Rojo Gomez. I love the Cinched Back Racer Tank. I liked you on faceboook! I "like" Ever/After on facebook! I would choose to help the abandoned babies in Uganda... so sad. I love the fleece pants, both of my Little's need those! I "Like" This Mommy Loves on Facebook.. I "Like" Ever/After Clothing on Facebook.. I would choose to donate to Reverse The Effects of Neglect. I follow you via google.. I love the rompers as well! Darling.. I Follow @EverAfterCTS on Twitter.. 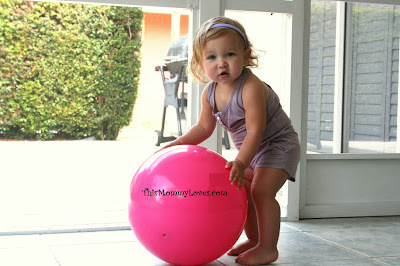 I Follow @ThisMommyLoves on Twitter..
became a fan of this mommy loves on facebook. became a fan of ever/after clothing on facebook. i would allocate my donation to the home for abandoned babies in uganda. 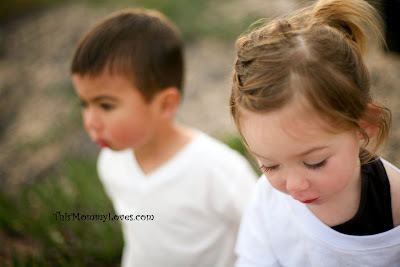 follow this mommy loves via GFC. i love the v-neck one piece and fleece pants for the little boys. so cute! I like Ever After Clothing on FB! I would use the $75 to buy a few of the Short Sleeve Crew for my 3 year old! I would donate to home for abandoned babies in uganda. I liked Ever/ After on fb. I would love to support the place of refuge in Mexico. so cool. Like This Mommy Loves on facebook. I would definitely choose the Loving Hearts Babies Home in Uganda. Love the little girls' leggings! I'm such a fan of This Mommy Loves and Ever After Clothing, I feel simply inspired by both of you! Of course, I would have to donate to the charity that helps inspire creativity in at-risk youth. As an educator, I can't stress how important charities like this are! As for what I would buy my liitle Ryan...I think the fleece plants are perfect for Fall now that he's crawling everywhere! I have been having a hard time finding clothes for my daughters. Especially girls clothing , that is trendy, but still at an affordable price. However, I was online and discovered Aeropostales website and they have so much.